Poll | The Meaning o' Life! 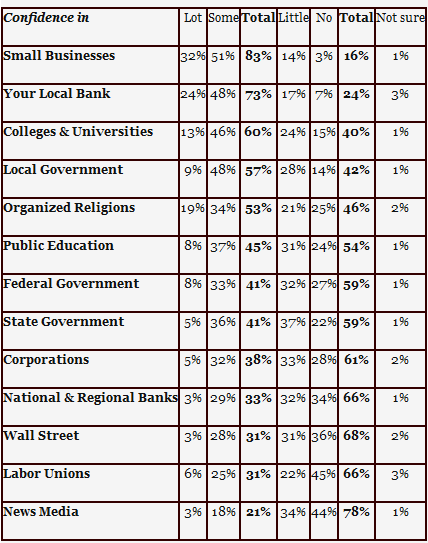 So according to a new Zogby poll, about 50% more people have confidence in “Wall Street” than in the “News Media” — and another 50% more trust “Corporations”! Well, I guess this is the Fox Newsing of an industry — entertaining but not worth a damn when it comes to getting trustworthy information. But at least people seem to realize it.